Usage: Replace the files face.bmp, rom1.bin, keymap.dat in the directory where the program was installed. Pressing the button [Run] in the Single step group box executes a single machine code instruction. 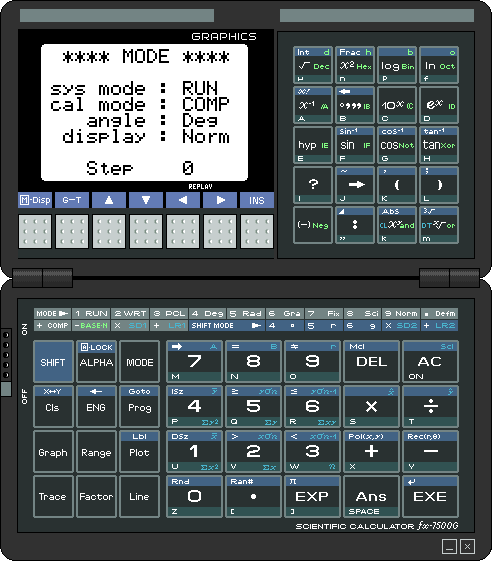 Please note that entering the debugger when the calculator is idle usually hits PC=&H811F, where the processor waits for a timer interrupt. Single stepping from this state doesn't have any effect. 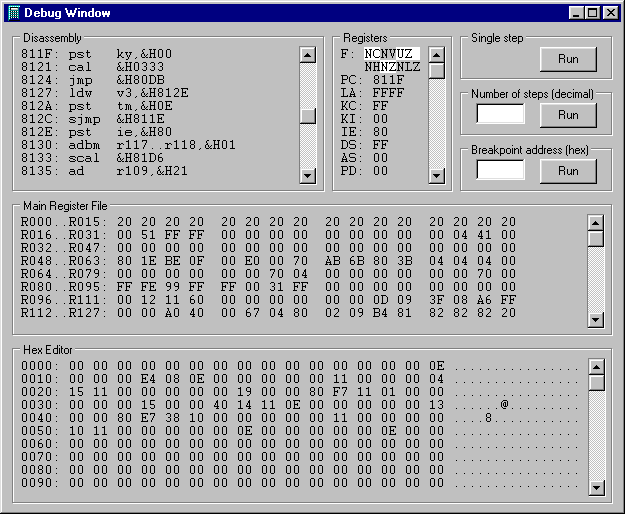 Some parameters of the emulator can be customised by editing the fx7500g.ini file with any text editor.